I have come up with a new way of displaying my brooches. 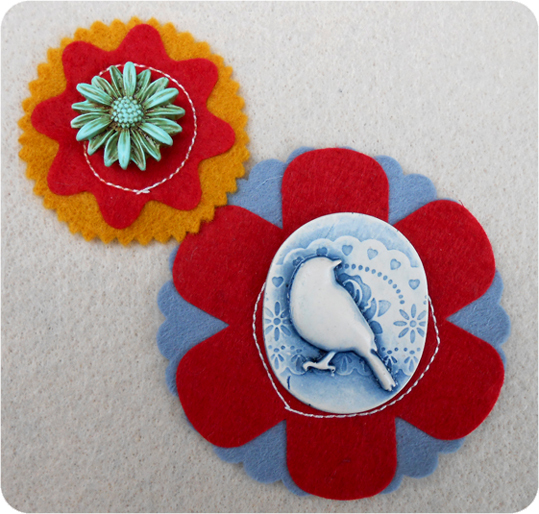 Previously they were just pinned onto card, but on the weekend I started playing around with felt shapes - sewing them together to created little boarders for the brooches, like tiny frames. I think they are much better. This way people can get a sense of what they would look like against a fabric. They also do not get bent and dogeared during transportation to and from markets. What do you think?